In just a couple of days it's Valentines day, when you've already found yours, like I did, why not surprise them with a lovely breakfast? Mine was lucky, because he got to eat these last week so I could make the photos to make this post! Mix the spelt flour, soy milk, egg, baking powder, salt, cinnamon and about 8 raspberries until you get a nice pink batter. 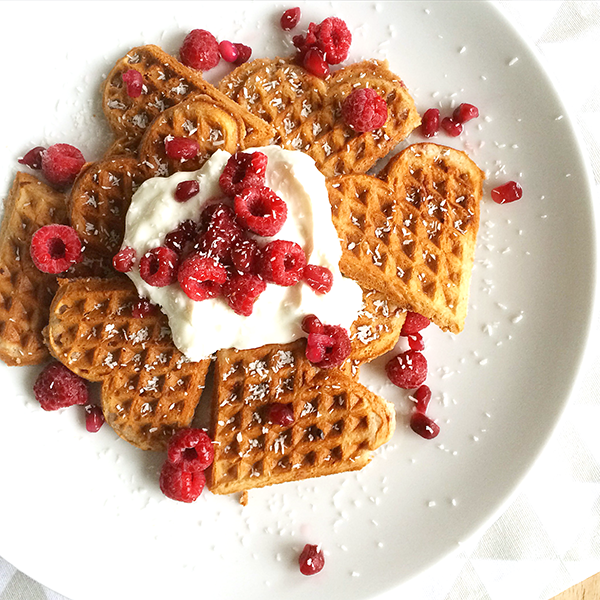 Put some butter on the waffle iron, so your waffle will come out easily. Use a gravy spoon to put the batter in your waffle iron, wait a couple of minutes (about 4-5) and check if it's done and golden brown. 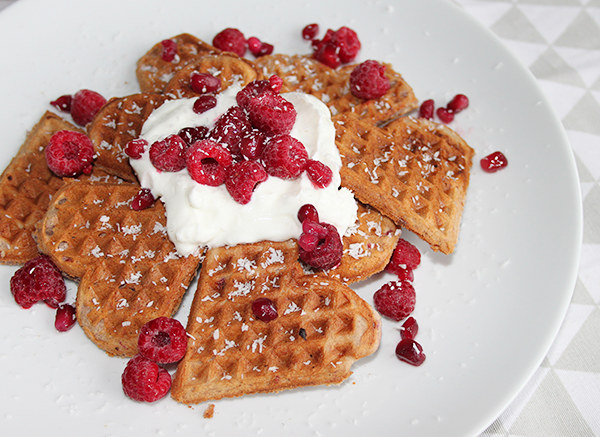 When you're using the heart shaped waffle iron like I did, use a knife to cut the hearts loose and put them on a plate, top with Greek yogurt, the rest of the raspberries, pomegranate seeds and coconut grater. I hope your valentine will enjoy these as much as mine did!